Hooray!! The H57 is done!! 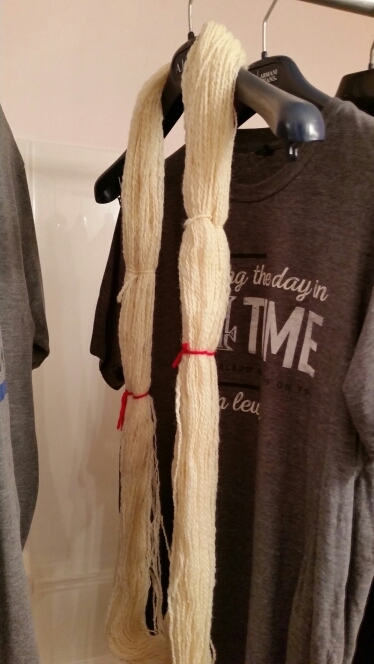 Spun, plied, and hanging to dry. I have three remaining practice wools: half a pound of Falkland, half a pound of Blue-faced Leicester (yes! again!) and 4 ounces of organic Polwarth. I’ve already decided to do the Falklands next.